The principles of the Concordian Athletic Program are unique in that we are not simply catering to the capacities of more physically skilled students. Along with good sportsmanship, participation in the Athletics Program instills the development of moral qualities, social abilities, emotional maturity, and mental alertness. Our objectives are to develop citizenship traits such as cooperation, leadership, self-discipline, fairness and honesty in dealing with others, and respect. 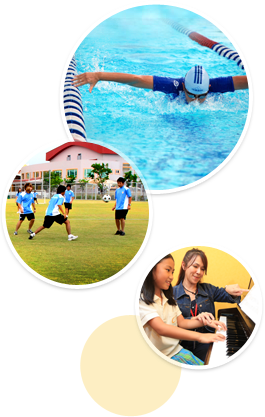 We are developing as wide an Athletic Program as possible to give each student the opportunity to discover a sport or sports in which he/she has interest.